I don’t have a question, I just wanted to let you guys know that i am practically GIDDY with the excitement of finally having the Summers’ lineage xplained to me. Out of curiosity, was Sunfire’s costume designed by Dave Cockrum or was it pre-existing? I’ve never been sure what the heck is supposed to be going on with his mask. Don Heck, I think–I know the character was officially co-created by Heck and Roy Thomas. The eyes make him look like some kind of fish to me. Because… koi are Japanese..? I guess? Although I guess they got less fishy pretty quickly, which means I have no idea. Yeah, I looked at the cover to Uncanny Avengers and it’s a little less ridiculous there. I’m just surprised no one’s given him a full redesign. Especially since his costume dates back to that time where every Japanese hero needed to have a rising sun motif, even though that’s still a touchy subject in Japan. I have a question, that I hope isn’t too late to get answered. 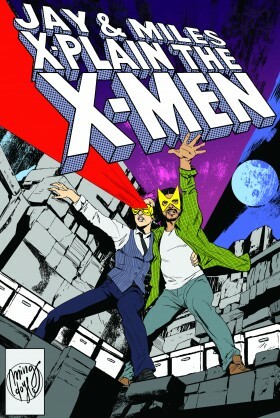 You mentioned that the X-Men comic went into reprints for a long time. During those years, how often did X-Cast characters pop up in other books or stories? I know Beast was in Avengers eventually, but otherwise did we see Slim, Hank, Marvel Girl, or Prof X in any comics? Awesome; thanks for the link!